Who wants to sit down in front of their computers and edit their resumes to be in with the trend? You might find the whole updating of your resume such a tedious and tiring task to do. It just seems awful and dreadful. The whole process just seems so overwhelming that you would rather do something else other than type the night away. However, we can help you out with this task by giving a few guidelines and writing tips for you. 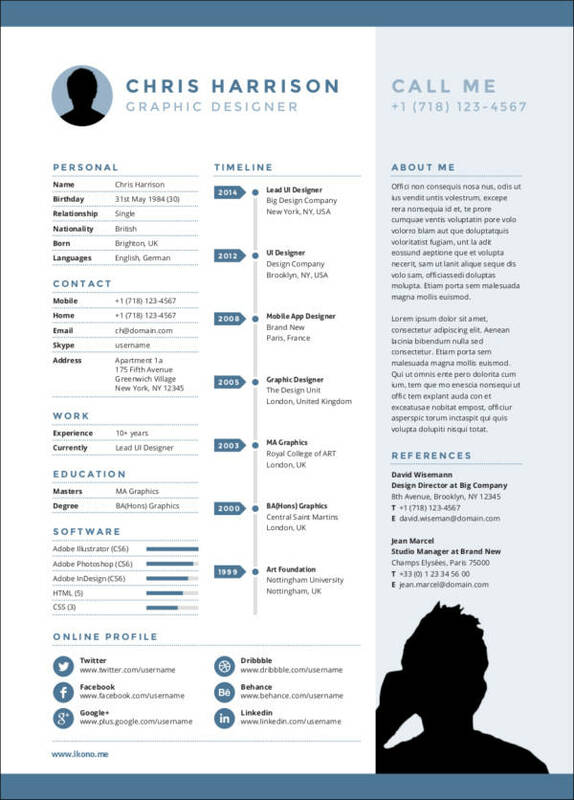 We will also be posting a few upbeat and trendy free resume examples that you can directly download from this article. People are always fighting for job opportunities all year round. So you better make sure that your resume gives a fresh perspective not just with the content, but also with the format and the layout. Just make sure you continue to read up on the following and check out all of the printable and downloadable samples we have. The traditional format is one of the most basic resume format used by job applicants. It gives a clean and organized look to your resumes. By making use of colored headings, you will find it easy to emphasize what the content of your resume is. 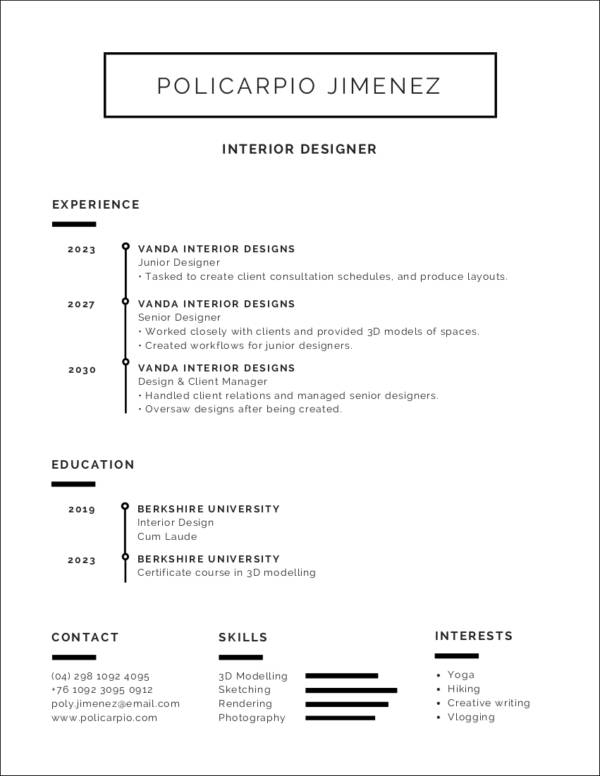 This minimalist resume template makes use of two colors—black for the text and white for the background. It only makes use of plain text, which makes it very easy on the eyes and it can also be easily read. The name is the main highlight followed by the job title you have. It makes use of underlines and bold letters to emphasize each section of the resume. As you can see, this cover letter makes use of a chronological resume format. 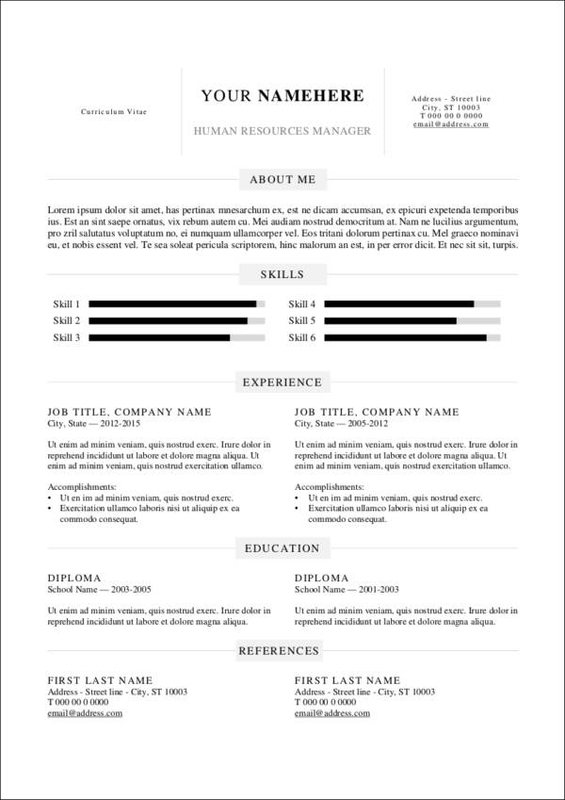 To make it unique and make it suit better to your own taste, you can switch up the font styles and make use of a different resume layout. 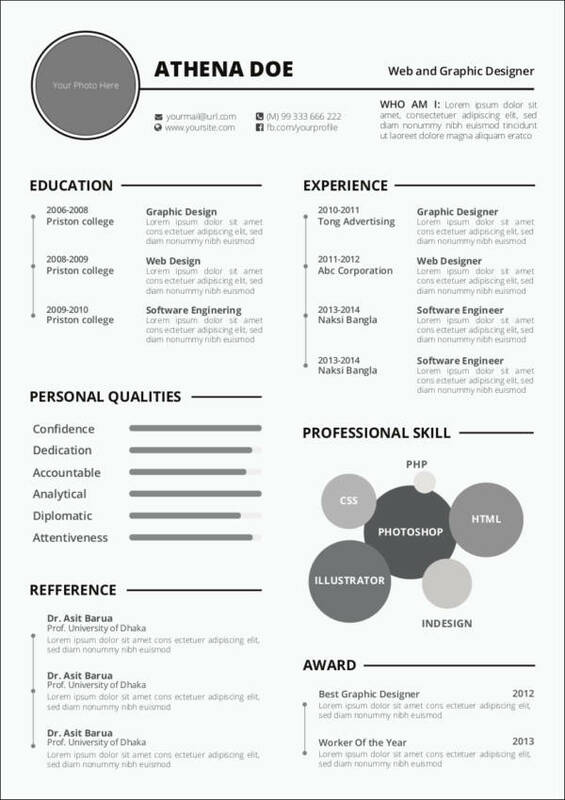 This resume template looks clean and neat making the resume have a polished and professional look. It makes use of a green font color to highlight the sections. There are two columns: the first column is where the basic information and the skills of the job applicant found while the second column is where the resume skills, experiences, and other qualifications will be reflected. 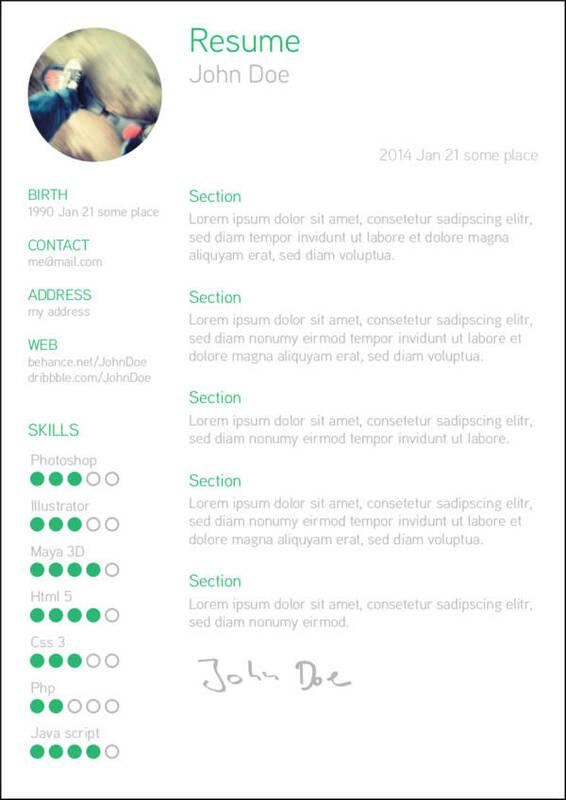 A modern twist to the clean resume is what this resume example is trying to convey. By making use of a unique color for the background, it is sure to catch the attention of the reader. This sample, in particular, is also easy to edit as it is in word document format. You can directly edit its content to make it more personalized. You may also opt to have a different background color or texture. 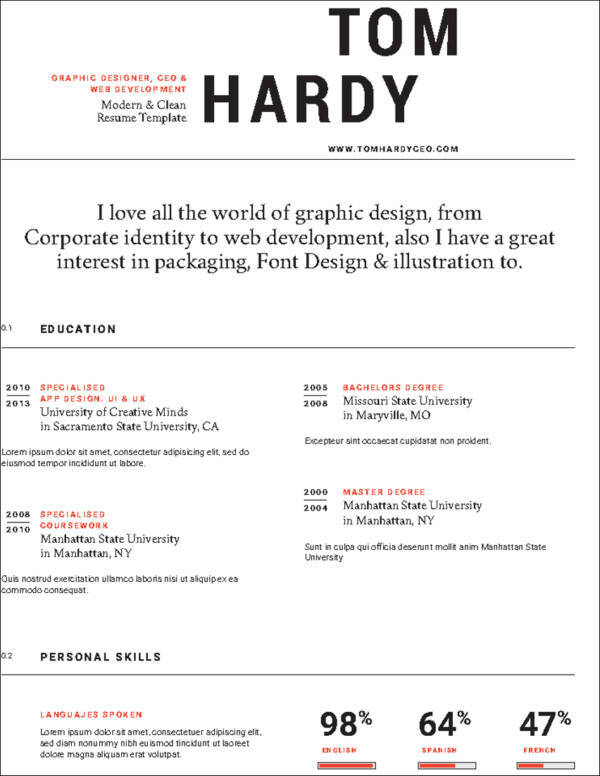 These resumes are great for job applicants who are applying for creative positions. Fixing a few things about your existing resumes is a part of the process of updating it. We want to keep you updated and we also want to remind you of a few things about resumes that would definitely help make it more job-ready. Speaking of fixes, there are eight that we want you to start doing now! Make Sure It Looks Good! Let us start with the basics. You always want to make sure that your resume looks good. A resume that is formatted poorly will definitely work against you and will definitely not impress the employer. Ensure that your resume is easy on the eyes and can be easily read. Take care of the formatting. Remember, resume formatting does matter for all types of resume. Cleaning up the formatting is highly recommended. Use two complementing fonts and make use of bullets. Make sure that all sections are properly aligned according to what you want and that spacing is the same all throughout the document. Proofreading is also advised. Read your resume multiple times or ask for help from a friend or a family member. Avoid Fillers at All Times! personal information such as religion and birthdays. The lesser the clutter of your resume, the better. There are more tips on writing one-page resumes that you can check out and read up on. One of the most common things that people tend to look over on their resumes is providing an example for the achievements and the skills they have. Instead of listing down all of the responsibilities you had, let them know what you did to help some projects succeed. Concrete examples will always give a better perspective and will help the employer picture out what you are capable of doing as an employee. Speak the same way the company does. Research about the company and pick up a few keywords from their website, as well as from the job posting. Use strong action verbs that will help describe your qualifications and make you look like the one that they are looking for. Resume Objectives Are Out of Fashion! The employer already knows that you would benefit from getting a job. You need not tell them that. What you need to tell them is how they would benefit from hiring you. Instead of using a resume objective, make use of a resume summary as these talk more about what you can do. You may also include an About Me section. Choose the best resume format for your resume. Unless otherwise stated, the traditional chronological format works best for all types of job applications as these are easier to read. Lying is a big no-no! Stop making yourself look like the perfect candidate if you do not possess any of the skills that you are talking about. Be honest and stick to what you already know and possess. One of the most common resume mistakes committed by job applicants is forgetting to rename their file names appropriately. Make sure you rename your files to your name + the word resume (i.e., Daniel-Smith-Resume or something that looks similar). This will help the potential employer look for your resumes faster after they have downloaded it. In math class, you were taught how to effectively use charts in order to make interpretation of data way easier. Did you know that you can make use of charts on your job resumes as well? This exampl, in particular, gives a charted representation of the skills he/she possesses. This way, it will be easier for the potential employer to gauge whether the skills that the job applicant has is enough to be able to perform the tasks properly. This sample job resume also makes use of a chart to represent the skills possessed by the job candidate. For this particular example, the skills enclosed in the bigger circle is the core skill that the job candidate possesses. Its layout is also simple enough to make sure that all of the necessary information needed is reflected in one page. Showing your creativity through your resume is a good idea, especially if you are applying for creative positions. A lot of graphic designer resumes look creative. One example would be this resume. It makes use of a texture for the background and uses a fun font for the header, which is actually the job title of the job applicant. 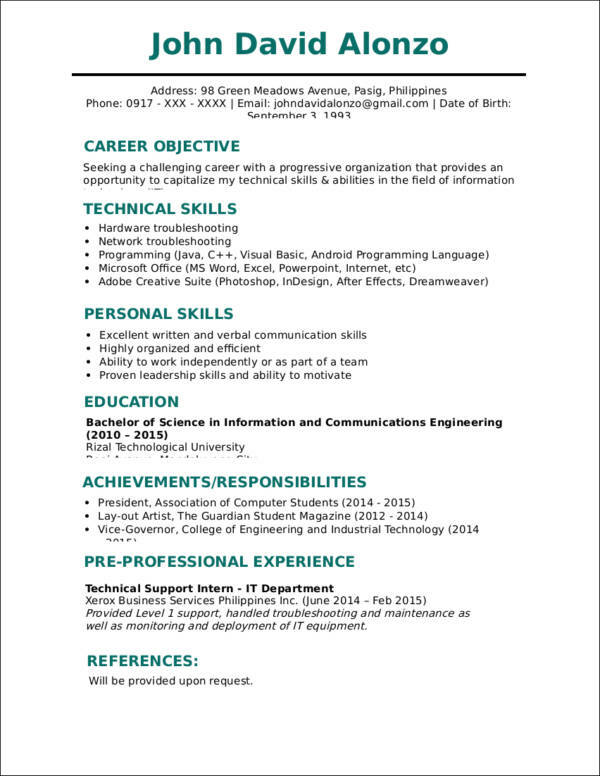 Since this resume sample is in Ai format, it can easily be edited with the help of Adobe Photoshop. Making use of timelines in your resume makes it easier for the potential employer to see what you have been up to in past years and what your previous jobs were. 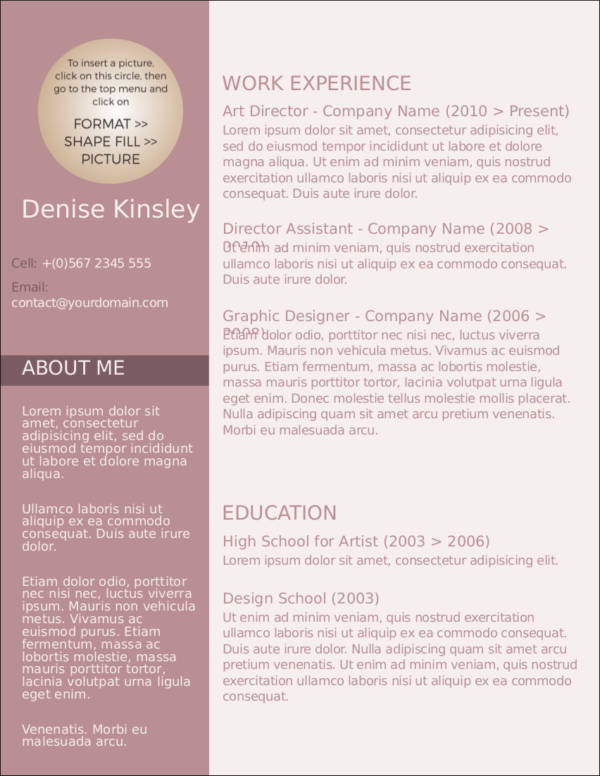 This particular professional resume example is simple and functional despite having just one page. It has all the necessary information such as your personal profile and information, work experiences, skills, references, social media buttons, and a space for your photo should you wish to add one. 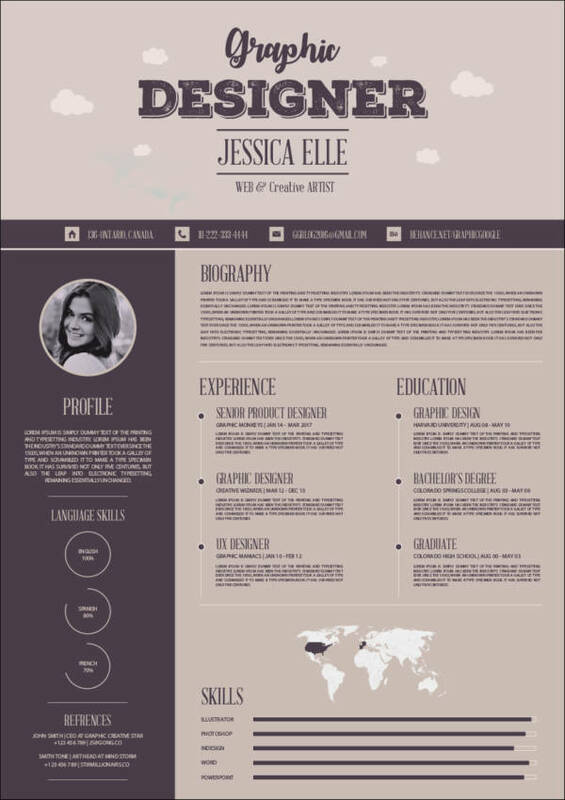 You can easily personalize this resume template by editing it using a photo editing app as the downloadable package included is in PSD file format. What’s one of the most important items to highlight in your resume? Your own name, of course! In this resume example, the name of the job applicant is the very first thing you will see as it is in a different font size. Other sections are also in a clean and professional-looking layout. Using a different color to highlight the contents of each section. It is not uncommon for job applicants to ask what to put in a resume, especially if they are fairly new to the world of making resumes for a job. Whether you already have an idea or otherwise, we want to make sure that your resume is as trendy as it should be for the year. Take note of the following items that you can include in your resume for 2017. Nowadays, putting social media links on your resume has started to become a trend. This does not only talk about your LinkedIn profile but to other social media accounts as well such as Facebook Pages or Twitter. These links can be inserted in the header of your resume or the section where you would usually put your contact information. However, you should take note that these links should only be included if you talk about things that are related to the field you are applying for. Your recruiter does not want to see that rant you had about that fast-food chain and their bad customer service. Take note, though, that through background checks, the recruiter might be able to find your personal social media accounts. To ensure that you do not get judged for the personal stuff that you post, set your accounts to private. It is 2017 and everything can be searched on the Internet. So we have to make sure our personal accounts are in good, if not great, shape. If you did not make any professional social media accounts yet, it’s probably time that you start doing so. If you have one yet you fail to update it every once in a while, it is high time you have them up and running once again. Set a schedule when would be the most ideal times for you to update these accounts. Remember, your online presence can also strengthen the chances of you getting that interview invite. Keeping yourself updated with the latest technological advancements that are related to your field will actually help you look good. You can get these updates from a wide variety of blogs and business websites. Once you find out what these are, you can start familiarizing yourself with these and then put this on your resume. You can create a section for this and make use of bullets to enumerate the apps and programs that you now know how to use. Having emotional intelligence is a soft skill that every single job applicant has. Remember, employers do not only want you to do the job. They also want you to become their colleague and they want you to be able to work in harmony with the rest of the company’s workforce. So how do you include these soft skills in your resume? By providing examples in your hard skills. The examples that you will be citing should be brief and straight to the point. Remember, your resume should be as short as possible. The additional things that you would want to say about your skills can be said during the interview. Now that we have expressed some things that you should include in your resume, we should now come to what not to include when you are writing a resume plus other things you should not be doing to your resume this 2017. Unless you are a graphic artist or someone who is looking to become a part of a creative workforce, putting too much designs, vectors, icons, and making use of different fonts would just make you lose a good opportunity. Stick to simplicity and a few basic layouts. If you want to make your resume look more personalized, you can play it up with a few font colors and a few subtle textures. Check out the samples we have for you and you will definitely have a great-looking resume that is not too over the top. There is a big debate on whether you should include a career objective/summary. It will all depend on whether you want to include one or not. However, if you want your resume to look leaner and more compact, which is what a ton of potential employers prefer, then you should definitely leave the summary or objective out. Just ensure that if you will leave this section out that the other sections of your resume are solid. A reference list nowadays is not as common as it seems. Long gone are the days of these lists (unless the employer specifically asks for one). Instead, make use of the space you intended for your references for other information. You can also provide the employer immediately with employment reference letters from reliable references. We are hoping that you have learned a thing or two from the samples and the resume fixes that we have for you. Looking for a job is never easy, especially with the high competition you might be facing. We know that experience greatly affects your application, but just remember that confidence + a well-written resume + a standout cover letter are your best weapons to a good career. We wish you the best of luck for your career and the bright future ahead of you! Cheers! Does a Resume Need an Objective?